Open the People page and create the new CEOs list. In the Property field, select Title. Select the Contains CEO condition. 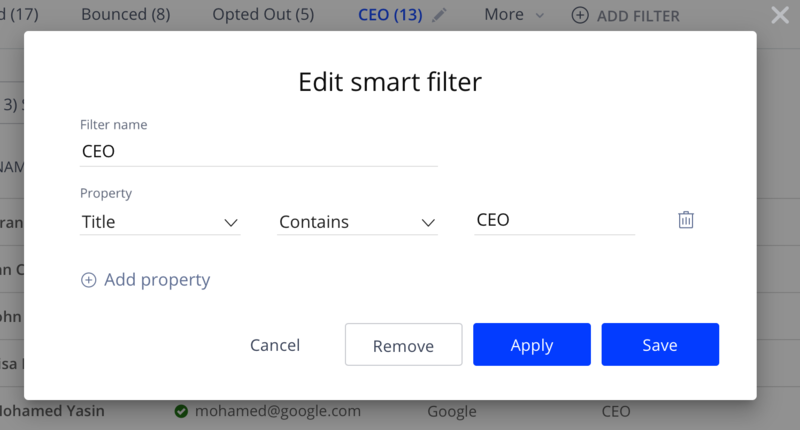 Select all filtered prospects, click the Move to list icon and move the contacts to the CEOs list.